We learn a lot in school about the importance of staying active, especially as we age, and even despite some medical conditions. Apparently that advice applies to animals too! Here’s a cute video of Eddie, an arthritic sea otter at the Oregon Zoo, who learned to play basketball to keep his elbows healthy. 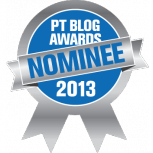 Also, there’s one more week to vote for me as the Top PT Student blogger! To vote, visit: http://www.therapydia.com/blog-awards and scroll all the way to the bottom, and click where it says in blue, “Vote Now.” My blog is under question #4 Best Student Blog – just click my name. Thanks! Previous Post Can You be Overweight as a Physical Therapist? Next Post Guest Blog: Scheduling in the Fun! Dr. Jasmine Marcus, PT, DPT is a physical therapist and writer.